The Persistence of Caste: The Khairlanji Murders and India’s Hidden Apartheid uses the shocking case of Khairlanji, the brutal murder of four members of a dalit family in 2006, to explode the myth that caste no longer matters. Categories: Navayana, Politics, Reference, Social Sciences, Sociology and Anthropology. Tags: 9788189059286, Apartheid, Caste in India, Caste System, Dalit studies, Dalits, Evolution of caste in India, Navayana. 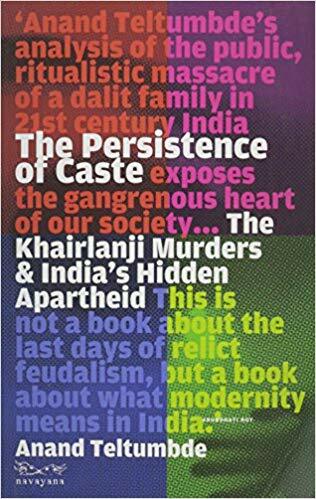 The Persistence of Caste: The Khairlanji Murders and India’s Hidden Apartheid uses the shocking case of Khairlanji, the brutal murder of four members of a dalit family in 2006, to explode the myth that caste no longer matters. Analysing context and crime, it seeks to locate this event in the political economy of the development process India has followed after Independence. Teltumbde demonstrates how caste has shown amazing resilience—surviving feudalism, capitalist industrialisation and a republican Constitution—to still be alive and well today, despite all denial, under neoliberal globalisation.